What eyeglass lens cleaner, do you use to clean your lenses? It is a question often asked and for good reason, when I think of how many times I changed lenses at my shop, scratched due to improper cleaning. Of course in this case, the lens quality is also notable, but you should know that even the most powerful lens coatings can be scratched or even damaged, if you don’t use the right cloth or spray for cleaning. I mean wipe the lens, whenever put your fingers on them or whenever they got something like water, dust, chemicals, or if they've been stored for a long time without protection, i.e. an eyeglass case. The only material recommended by lens manufacturers, and I'm of the same opinion, is the microfiber cloth for mechanically wipe. If the lenses are extremely dirty with mud, chemicals, pieces of dirt attached to the lens, to avoid scratching, you must first wash them under running water or use an eyeglass cleaner spray and only after, wipe with microfiber cloth. From my experience, I can say that my clients wipe the eyeglass lenses with a wide range of clothing materials ranging from silk, wool, polyester, cotton, continuing with bedding, chair covers, paper. Yes, it is convenient, but totally wrong. Even if this contributes to the lens sales in our shop, I am stubborn yet to tell customers what to use and how to wipe the lenses. This is a spray specifically made for cleaning lenses. It performs a chemical cleaning and contains such detergents that does not hurt the lens layers. It is better using the spray regularly 2-3 times a week, but not daily. 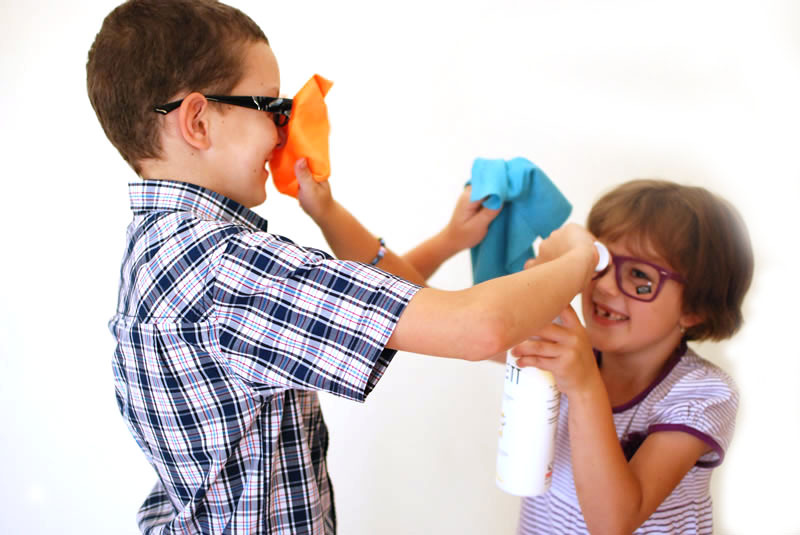 Because at an excessively use, even these specific detergents can damage the lenses coatings. When wiping the lenses with microfiber cloth, you have to keep the eyeglass frame from the nose bridge in the middle. 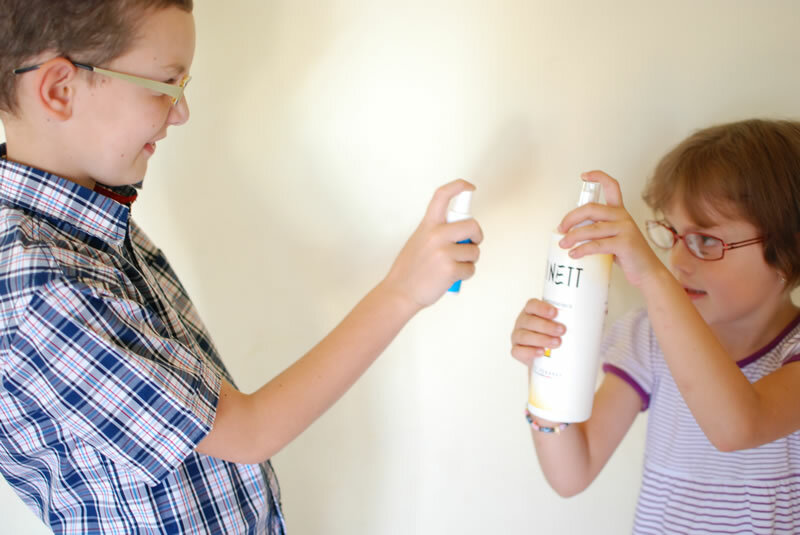 Do spraying on both sides of the lenses. Use only the cleaning solutions that protect the lens coatings like anti-reflection, hardening. You will usually find them at optical stores, and the protection properties are indicated on the package. It is said that a solution that irritate your skin and eyes is not suitable for lens either, so limit to the delicate ones they will not damage your lenses. You can use instead special wet wipes: for chemical and mechanical cleaning. Another possibility is to wash the glasses with water and soap or detergent. Wiping the lenses can affect the protection layers? There are lenses that do not require cleaning? All lenses need to be cleaned regularly, but there are some materials that withstands dirt better, so you need to clean them more rarely, like trivex lenses. It is a good idea to fog with breath the lens before wiping? Now seriously, steamy and wet lenses can help remove dirt, but will always be better using a specific eyeglass lens cleaner spray. Always remember before you clean the lenses that an eyeglass lens cleaner like microfiber cloth, eyeglass cleaner spray, wet wipes, specially manufactured are best to clean and protect your lenses.